Rich Duncan Construction offers commercial construction services for each stage of a building project. 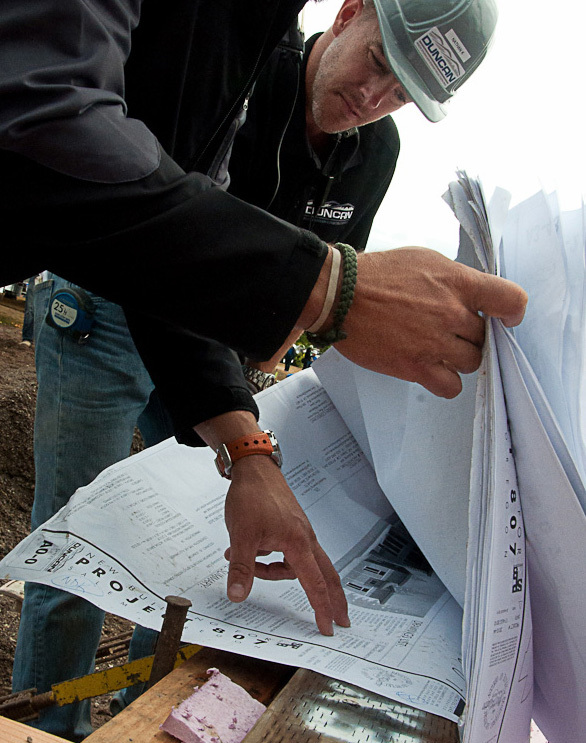 Our firm guarantees commitment to the project — whether we are developing just the right design, budgeting, supervising demolition or construction, or educating on the operation and maintenance of installed materials and equipment. We are uniquely qualified at each building stage to bring every project to a successful completion. Rich Duncan Construction has spent the last ten years gaining knowledge and experience in all facets of commercial construction. Since 2002, we have developed and maintained a long list of satisfied clients. Rich Duncan Construction has worked in many industries ranging from banking facilities to restaurants to government offices. Over the years, Rich Duncan Construction has constructed and remodeled many offices in the healthcare industry, including the entire renovation of a shooting range into a full-service medical college. Rich Duncan Construction has vast experience in the design, construction, and completion of restaurants. Whether a newly constructed building or for tenant improvements, we have developed the knowledge for, and assembled a capable team to meet, the special needs for these projects. Have a space and need to prepare it for a tenant? Are you already leasing property and have been given a “go-ahead” to redesign, improve, or remodel your space? Rich Duncan Construction has been providing expertise in the area of tenant improvements for well over ten years. Since 2002, Rich Duncan Construction has worked on all types of commercial construction projects. Our experience on projects over the years has ranged from seismic upgrades for airports, construction of carwash, to restoring walls with historical value. In the design phase we use value engineering to prevent costly overruns. Maintaining our educational programs keeps us up-to-date on constantly changing trends and technologies. Using local design professionals we provide interior design as well as full building plans. We never lose sight of a project’s goals. Our team effort works through any design challenge to a successful solution. We answer the question, should I build or renovate? Whether working with your architect or design professional, or using one of our recommended team architects, we partner together as an entire team to limit questions and streamline the process. We oversee the entire permit process — through the governmental red tape — by maintaining constant communication, thus expediting the plan review process. Rich Duncan Construction, Inc strives to continually implement “Green” building systems and techniques available within the construction industry. Our business partners with an array of Architect & Engineering firms who use several different sustainability and enhanced building performance practices.